The FDA has approved to a pair of new medications for the treatment of HIV. 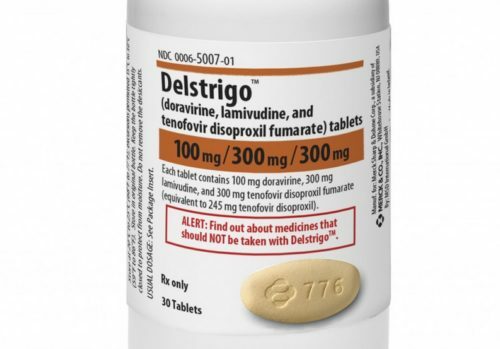 The medications, brand-named Delstrigo and Pifeltro, are designed for adults with no prior antiretroviral treatment. “As part of Merck’s 30-year commitment to the care of people with HIV, we are pleased to now bring forward these two new antiretroviral treatment options, Delstrigo and Pifeltro, which we believe offer a compelling clinical profile for clinicians and people living with HIV,” said Dr. George Hanna of Merck Research Laboratories in a company press release. “We are thankful to the researchers as well as those living with HIV and their communities for the collaboration that made today’s approval possible,” he added. In Drive-Ahead, 728 patients not previously treated for HIV were given either Delstrigo or Gilead’s already-approved Atripla. After 48 weeks of treatment, suppression rates were comparable between both groups. Viral suppression rates were greater than 80% in both groups. What’s more, those treated with Delstrigo showed themselves to have lower rates of dizziness, sleep problems, and concentration issues compared to Atripla. They also showed better cholesterol levels, and unintended benefit. The medication is not without its setbacks, with Delstrigo possibly worsening Hepatitis B infections. Neither medication is an HIV cure, but could improve the life of those with the infection. Both can also, in many cases, be co-administered with other antiretroviral agents for additional protection.